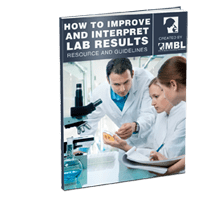 Laboratory results are as good as the sample. The sample type taken generally depends on the purpose of the investigation. The importance of accurate results cannot be overstated. Test results change people’s lives. Tip. Collecting a good sample for lab testing. There’s not much point using a lab analysis report to guide your microbial remediation decisions or recommendations unless the sample collected for analysis was truly representative of the total building contamination. The aim should always be to collect the most representative sample possible. See our course How To Take Mold Samples. In this first section, you will learn how to safely collect and send samples for mold testing services. Fill the chain of custody form and send it together with the samples to us. Dry swabs are recommended for wet surfaces and wet swabs for dry surfaces. Various sampling cassettes can be used. Use the manufacturer’s instructions. Also ensure the pump has been calibrated to the appropriate flow rate for the type of cassette to be used. Note: replace stickers on Air Sampling Cassettes once sampling is completed to prevent contamination. Fill the chain of custody form and send it together with the samples to us for incubation and identification of the resulting mold or bacteria. Volumetric air samples for culture analyses are taken by impacting a known volume of air onto a suitable growth medium. Commonly used samples are Reuter Centrifugal Sampler (RCS) or the Anderson Single Stage Sampler. This process is particularly important if you request MBL’s bacteria testing service. Please refer to the manufacturer’s instructions on how to take samples using your sampler. If you are within the GTA region, you can either deliver the samples to the laboratory by hand or send them by courier or post. Samples from anywhere else in Canada (outside the GTA) may be sent by courier or post. Note: It is recommended that wet and/or culturable samples be sent to the laboratory on the same day if possible) or by overnight courier, and should be shipped under cool conditions (but not frozen). When we test for moulds or bacteria, our turnaround time for all culture analyses is 10-14 days. Non-culture analyses takes 1-3 days for regular service and 24 hours for rush service.